Northwest K9 Bed Bug Detectives aims to be your go-to bed bug extermination experts in Tacoma, Seattle, and the surrounding areas. Whether you’re uncertain as to whether you have bed bugs and are in need of an inspection, or are in need of bed bug extermination services, Northwest K9 Bed Bug Detectives is here to provide you with the best bed bug extermination services in Tacoma. Contact us today to learn more! 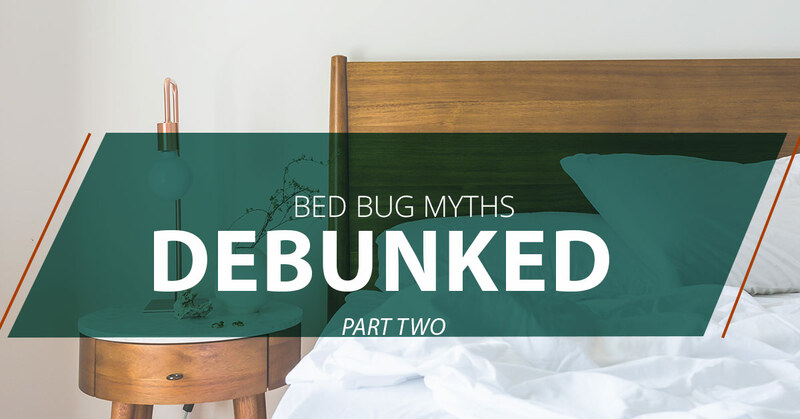 In part one of our blog series, we looked at a few myths about bed bugs and shed some light on them to help you better understand bed bugs. Wrapping things up in part two, here are a few more bed bug myths, with some helpful information to accompany them. For those of us who have experienced other bug bites from spiders and mosquitos, we understand that these can sometimes be painful and highly irritating. From the swelling and inflammation that may occur to the irresistible urge to scratch them, being bitten by bugs is usually something that’s noticeable and rather obvious as its occuring. When it comes to bed bug bites, however, things may not always be so obvious, and while some believe that bed bug bites can be as painful as other sorts of bug bites, this isn’t always necessarily the case. While a mosquito or spider bite can be felt at the time it is happening, bed bug bites may not be as noticeable when they first happen. While some people react differently to bed bug bites than others, the bites can be itchy after the fact. For some people, though, they may not notice the bite until later or even not at all. If you have been bitten and think that it may be bed bugs, though, it’s best to hire a professional to come and inspect your home or apartment to either confirm or deny your suspicion. If you know anyone who has ever experienced a bed bug infestation in their home or apartment, then you are likely to know that getting rid of bed bugs isn’t as simple as buying a spray at the hardware store. While it would be incredibly convenient to get rid of bed bugs in a simple manner, this is unfortunately not the case. If you do indeed have bed bugs in your home, the only way to truly get rid of them is by hiring a professional bed bug exterminator. From there, they will be able to evaluate your situation and help better determine which option is the best for your situation. 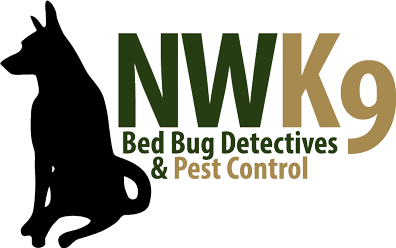 If you live in Seattle, Tacoma, or in any the surrounding areas, Northwest K9 Bed Bug Detective is here to help you get rid of your bed bugs. Don’t hesitate or procrastinate acting on it, as doing so can only make the problem worse. Those are just a few more myths about bed bugs that we’ve hopefully shed a bit more light on. Understanding more about bed bugs is always beneficial, but if you think that you have bed bugs, treating them is of the utmost importance. For those of you who live in Tacoma, Seattle, or the surrounding areas, Northwest K9 Bed Bug Detectives aims to be your bed bug extermination experts of choice! To learn more about our Tacoma bed bug extermination services, get in touch with us today!